Home / Children's health / Why Are Some Kids Picky Eater? 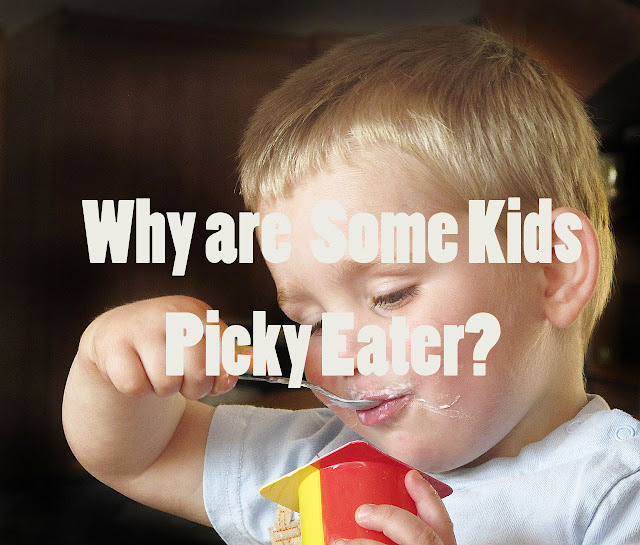 Why Are Some Kids Picky Eater? Kids who are picky eaters do annoy parents and worry. They just want to eat sausages and chicken nuggets using instant noodles, or just want to eat a special package menu at fast food restaurants. The picky phase of food is actually normal in the child's growth and development, but that does not mean that the parent continues to let it drag on. This eating habit is not good for your kid's health. You as a parent still have to make sure that their nutritional intake is still fulfilled at all times. As well as growth, most children will begin to like a more diverse diet. They will gradually realize how important food and nutrition are. Why do kids like picky food? Picky children eat generally because they are not used to eating habits like adults. Especially for toddlers who have just turned to solid food menus, various shapes, textures, colors, smells, and new tastes from various foods can make them shocked. In addition, the tendency to picky foods may also arise from the habit of children seeing their parents' diet. For example, the mother who is not fond of eating vegetables or her father who only wants to eat it. Children grow up to follow what parents usually show as their main role models. So when you offer it to eat vegetables, he will reject it because he thinks "My parents don't eat it, why do I have to?" They will show their "protest" with low appetite, often refuse to eat, only want to eat foods that they know and like, and only want to eat small amounts. According to WebMD data, almost 20-50% of children in the United States include picky children, where children generally only love foods that taste salty, such as fried chicken, sausages and nuggets. In addition, some children also showed their willingness to consume certain vegetables and fruits, for example only tomatoes and or bananas. Some sensory problems can be a cause of picky children. Sensory disorders include olfaction, lack of stimulation of oral sensory input, and hyposensitivity or hypersensitivity in other groups. Muscle disorders that are used to chew can also be a cause for being picky eater. Disorders such as weakness of the lip muscles, jaw muscles of the tongue muscles make eating activities become uncomfortable so that children are lazy to eat. Psychological problems that can cause a child to become a food picker include experiencing trauma during meals. One of them is when children have choked when eating certain foods, or have eaten food that is too hot to burn the child's tongue. Negative impact on children's health. If the child is used to eating the same food continuously, his body will automatically consider the diet as a routine. This is certainly detrimental to the process of growth and development. When the menu or food ingredients that children eat every day from morning to night are all the same, this will gradually limit the nutritional intake of your child. In fact, the child's body needs a variety of nutritional intake in proportional amounts each day for healthy living. Based on research, bad habits of picky eating can cause children to have lower weight and height than other children of age. Picky eater children often lack fiber intake which makes them vulnerable to chronic constipation. 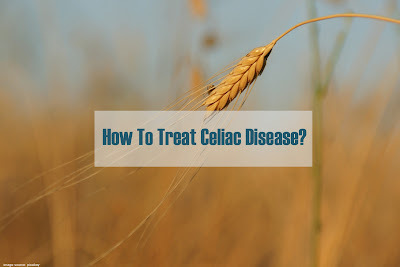 In addition, they also tend to lack energy and lack micronutrients, especially iron and vitamin A. Children whose nutrition is less susceptible to infection. So, it is not impossible that your baby's growth and development will be hampered even stop prematurely if he is used to picky eating. How to deal with a picky eater child. Give examples directly to children. You need to give a direct example to children that everyone needs to eat healthy foods to maintain health. In addition to eating home food, you also need to get used to eating fruits and vegetables so that children can imitate these habits. Do not always obey children's choices. If you continue to give in and obey the child's food choices, then the child will get used to eating the same food. Therefore you should not obey the child's choice and continue to provide the food that you have provided. Invite children to see the cooking process. Inviting children to see the cooking process can make children appreciate food more. You can invite children from shopping for groceries to being involved in the cooking process. This method can also make children easier to understand nutrition questions. Try to follow the hungry time of the child. We must pay attention to how many hours the child feels hungry, if we give food or snacks every 2 hours and the child refuses to eat. Then try giving it at 3-3.5 hours. Give special time for some types of snacks. In order for children to get used to a type of snack, we can get used to giving a snack at certain hours such as fruit juice at 10 am. Not forcing children to love new foods. Children need time to get to know new flavors and textures of a type of food, try giving them 2-3 times a week so that children are used to. Don't change the menu type quickly. If the child refuses to eat, make it a habit for children to keep eating until they run out on the same type of food. Not giving new types of food. This is what causes children to think that food that was previously not tasty and may not be consumed. Use your creativity in cooking. To anticipate the problem of children having trouble eating because of a menu they don't like, you have to be creative. For example, try adding chopped broccoli or green peppers in spaghetti sauce, or sprinkle fruit slices on a bowl of cereal, or mix zucchini and grated carrots into porridge and soup. It's a good thing to do this so that your child likes various healthy foods that contain good nutrition, even though your child doesn't really like certain foods, like vegetables or fruit. Invite children to participate in preparing food. Invite them to shop to the market or to the supermarket. Ask for help from children to choose fruits, vegetables, and other healthy foods when shopping together. Avoid buying something that you think is not good for your child. When you get home, do the same thing by involving the child to wash the vegetables, stir the mixture, or set the dining table. Stay away from things that interfere with meal times. Turn off the TV and other electronic devices while eating. This will help children focus more on food. Keep in mind that TV ads may also encourage children's desire to eat sweet foods or foods that are less nutritious. Also, read Causes Childhood Obesity And How To Overcome It.